Thanks to everyone who entered my blog hop yesterday!! If you haven't entered yet, you can still link up here. For those of you stopping by the first time from various blog hops... welcome!! Today I am hopping on these blogs. On to much more exciting news... I think I have finally found the most awesome toddler product around! It's the Muchie Mug!! Giveaway is now closed -- winner will be announced on Wednesday!! Here is what my house usually looks like -- 10 times a day -- 7 days a week!! I was getting a little tired of the constant clean-up. My son is a mischevious 18 month-old (as most are) and has already figured out how to use his bottom teeth to take the tops off of the two different kinds of snack cups I bought for him. I came across Munchie Mugs and asked if they would let me do a review of their product. I was so pleased when they agreed to not only let me do a review, but a giveaway too!!! I got my Munchie Mug in the mail about a week ago, and I haven't gone back to my other snack cups once!!! This mug is AWESOME!!! When you get your Munchie Mug in the mail it comes with the mug, a "kid-proof" top, and a lid. The "kid-proof" snacking top screws on -- meaning -- my little one can't just pull it off!!!! It has two pieces of super durable fabric that form the top. Your little one can get their hand in, grab their snack, and pull it out! The snacks won't spill out - like in other snack cups!! It also comes with a screw on lid so that your food stays fresh when your little one isn't snacking! How genius is that!?!?!? He wouldn't have been allowed to snack on my couch until now!!! Here are the details about this spectacular - Mom sanity saving - snack cup!!! They are only available in one design for now, but in 3 different colors. The design is extra cute too!! Have 2 boys or 2 girls?? No prob. 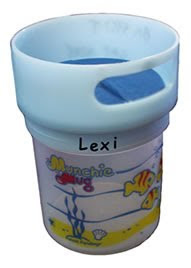 The Munchie Mug has a spot on the screw on lid for you to write your child's name! Now for the best part -- a chance to win a Munchie Mug of your own!!! **** Mandatory Entry: Visit the Munchie Mug website and tell me something about Munchie Mugs that I didn't mention! Be sure to leave me your e-mail address so you can be contacted if you win!!! ~ 1 more entry - tell me your Munchie Mug color preference. ~ 2 more entries - become a KdBuggie follower (please leave 2 comments). If you are already a follower, say so. ~ 2 more entries - follow KdBuggie on Twitter (please leave 2 comments). If you are already a twitter follower, say so. Giveaway ends on Monday, July 26 at 11:59 PM PST. The winner will be announced on Wednesday, July 28!! your newest follower from FMBT. Hope you can stop by. I like the yellow one. Hi! Thank you for following me at Style Ingenuity! Visiting from FMBT as well. I am your newest follower! Following you from Welcome Wednesday. Cute snack mug idea!! My little one could really use this! Something not mentioned is that they are made in the USA! I think I'd go with the yellow. These look great. 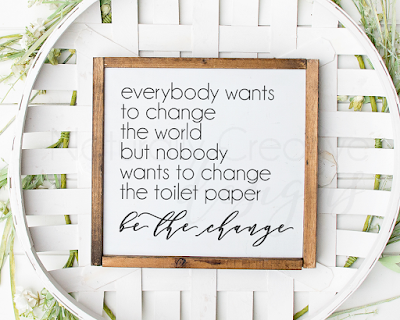 Anything to help keep my house clean is a good thing to have! 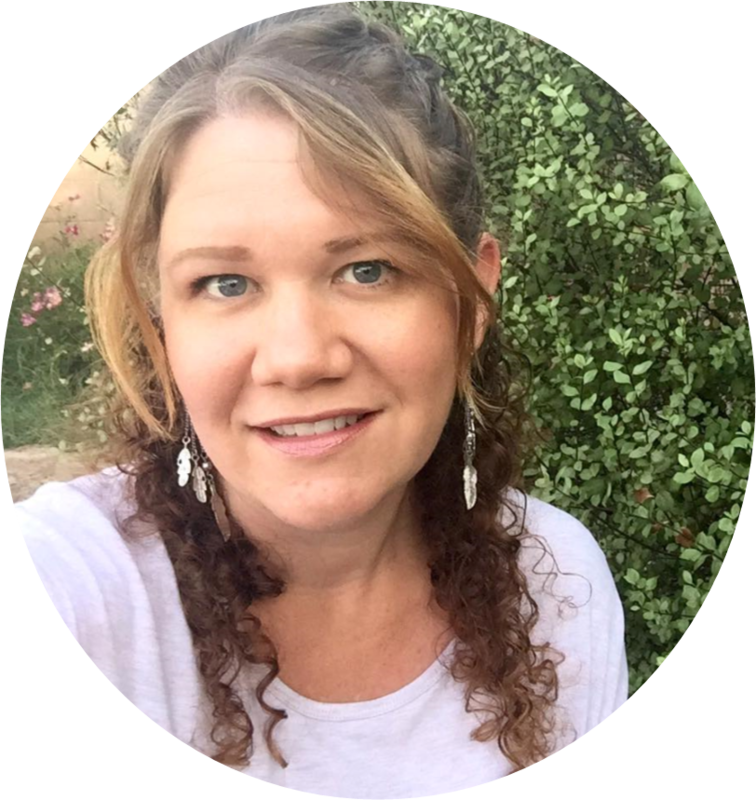 I found your blog through Welcome Wednesday! "Each Munchie Mug is supplied with a clear threaded solid lid that can replace the special fabric lid and keep the food fresh whenever the Mug is not in use." Hi - new follower from Welcome Wednesday. Hi, I am following you from Welcome Wednesday. I look forward to reading your blog! I'm following from Welcome Wednesday. I learned that the munchie mugs are top rack dishwasher safe - which is a must for a busy mama! I think i"d go for the yellow one! Hi! Following from Welcome Wednesday :) Nice to meet you! Happy to learn they are dishwasher safe! I LOVE that the Munchie Mug is made from 100% recycled materials! :) And it's BPA free! I would definitely get the blue mug for my boys! I learned that they are top rack dishwasher safe, which is awesome! I like the yellow one, works for everyone! The mug is 100% made in America. I'm already a Kdbuggie follower #1. I'm already a kdbuggie follower #2. I'm already following Kdbuggie on twitter #1. I'm already following Kdbuggie on twitter #2. I'm already following on facebook #1. I'm already following on facebook #2. I love that it has a stay fresh lid so the snacks don't get yucky! I would love a blue one please! I would like the yellow one! Such a great idea!! The Munchie Mug was field tested for over a year. I would like the Pink Munchie Mug. I became a follower - entry 1. I became a follower - entry 2. I'm following you on Twitter - entry 1. I'm following you on Twitter - entry 2.
these are both made in the united states and dishwasher safe....both importnat for my household! I learned that all parts are dishwasher safe! I like the yellow best!